Listen to women from across the Administration tell the stories of their personal heroes across the fields of science, technology, engineering, and math (STEM). Share them yourself. Add your own. And honor their legacy by committing to encourage a young woman to pursue a career in science. 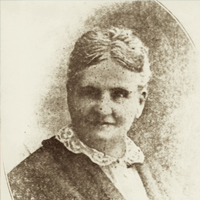 Ana Roqué de Duprey was born in Puerto Rico in 1853. She started a school in her home at age 13 and wrote a geography textbook for her students, which was later adopted by the Department of Education of Puerto Rico. Roqué had a passion for astronomy and education, founding several girls-only schools as well as the College of Mayagüez, which later became the Mayagüez Campus of the University of Puerto Rico. Roqué wrote the Botany of the Antilles, the most comprehensive study of flora in the Caribbean at the beginning of the 20th century, and was also instrumental in the fight for the Puerto Rican woman’s right to vote. Ana Roque de Duprey nació en Puerto Rico en el año 1853. A los 13 años de edad comenzó una escuela en su casa y escribió un libro de geografía para sus estudiantes, que posteriormente fue adoptado por el Departamento de Educación de Puerto Rico. Roqué sostenía una gran pasión por la astronomía y la educación, eventualmente fundo varias escuelas para mujeres, así como el Colegio de Mayagüez, que más tarde se convirtió en el Recinto de Mayagüez de la Universidad de Puerto Rico. Roqué escribió la Botánica Antillana, el estudio más completo de la flora en el Caribe a principios del siglo 20, y también tuvo un papel decisivo en la lucha de la mujer puertorriqueña por el derecho a votar. 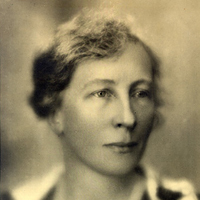 Lillian Moller Gilbreth was an American psychologist and industrial engineer at the turn of the 20th century. 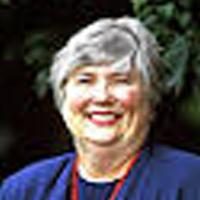 She was an expert in efficiency and organizational psychology, the principles of which she applied not only as a management consultant for major corporations, but also to her household of twelve children, as chronicled in the book Cheaper by the Dozen. Her long list of firsts includes first female commencement speaker at the University of California, first female engineering professor at Purdue, and first woman elected to the National Academy of Engineering. Ruth Rogan Benerito was an American chemist and pioneer in bioproducts. Benerito is credited with saving the cotton industry in post-WWII America through her discovery of a process to produce wrinkle-free, stain-free, and flame-resistant cotton fabrics. In addition to this work, Benerito also developed a method to harvest fats from seeds for use in intravenous feeding of medical patients. This system became the foundation for the system we use today. After retiring from the USDA and teaching university courses for an additional eleven years, Benerito received the Lemelson-MIT Lifetime Achievement Award both for her contributions to the textile industry and her commitment to education. 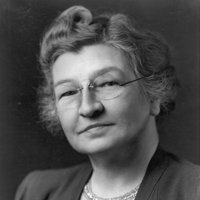 Edith Clarke was a pioneering electrical engineer at the turn of the 20th century. She worked as a “computer,” someone who performed difficult mathematical calculations before modern-day computers and calculators were invented. Clarke struggled to find work as a female engineer instead of the ‘usual’ jobs allowed for women of her time, but became the first professionally employed female electrical engineer in the United States in 1922. She paved the way for women in STEM and engineering and was inducted into the National Inventors Hall of Fame in 2015. 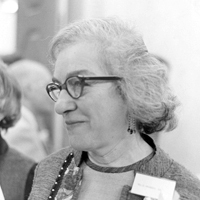 Mollie Orshansky was a food economist and statistician whose work on poverty thresholds pioneered the way the U.S. Government defines poverty. By using the cost of the cheapest nutritionally adequate diet to calculate a cost of living expense for families of various sizes, Orshansky developed guidelines which eventually became the federal government’s official statistical definition of poverty. Her work provided a way to assess the impact of new policies on poor populations, which to this day remains a standard measure of new policies, demonstrating the enduring impact of her work on American public policy. 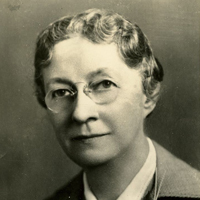 Mary Engle Pennington was an American chemist at the turn of the 20th century. At a time when few women attended college, Pennington completed her PhD and went on to work as a bacteriological chemist at the U.S. Department of Agriculture. Shortly after arriving at the USDA, Pennington became chief of the newly established Food Research Laboratory. During her 40-year career at the USDA, Pennington’s pioneering research on sanitary methods of processing, storing, and shipping food led to achievements such as the first standards for milk safety as well as universally accepted standards for the refrigeration of food products. 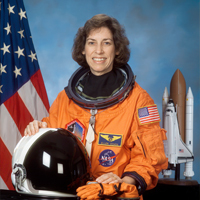 In 1993, Dr. Ellen Ochoa became the first Hispanic woman to go to space when she served on a nine-day mission aboard the space shuttle Discovery. She has flown in space four times, logging nearly 1,000 hours in orbit. Prior to her astronaut career, she was a research engineer and inventor, with three patents for optical systems. 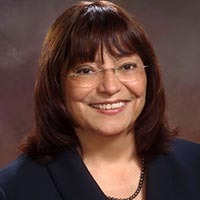 Ochoa is also the first Hispanic (and second female) to be named director of NASA’s Johnson Space Center. Isolating enriched uranium was one of the most difficult aspects of the Manhattan Project, which produced the first nuclear bombs during World War II. 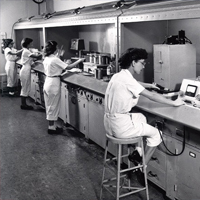 Wartime labor shortages led the Tennessee Eastman Company to recruit young women, who were mostly recent high school graduates, to operate the calutrons that used electromagnetic separation to isolate uranium. Despite being kept in the dark on the specifics of the project, the “Calutron Girls” proved to be highly adept at operating the instruments and optimizing uranium production, achieving better rates for production than the male scientists they worked with. Virginia H. Holsinger was an American chemist known for her research on dairy products and food security issues. Holsinger developed a nutritious and shelf-stable whey and soy drink mixture that is distributed internationally by food donation programs as a substitute for milk. She also created a grain blend that can be mixed with water to provide food for victims of famine, drought, and war. Additionally, her work on the lactase enzyme formed the basis for commercial products to make milk digestible by lactose-intolerant people. Through these discoveries, Holsinger’s work has had a major impact on worldwide public health. 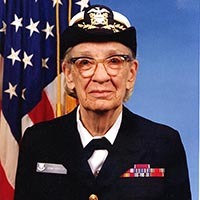 Rear Admiral Grace Murray Hopper was at the forefront of computer and programming language development from the 1930s through the 1980s. One of the crowning achievements of her 44-year career was the development of computer languages written in English, rather than mathematical notation — most notably, the common business computing language known as COBOL, which is still in use today. Hopper's legacy is still honored by the annual Grace Hopper Celebration of Women in Computing Conference. 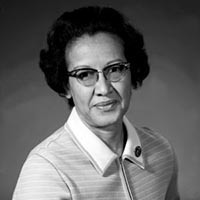 Katherine Johnson, an African-American space scientist and mathematician, is a leading figure in American space history and has made enormous contributions to America’s aeronautics and space programs by her incorporation of computing tools. She played a huge role in calculating key trajectories in the Space Race -- calculating the trajectory for Alan Shepard, the first American in space, as well as for the 1969 Apollo 11 flight to the moon. Johnson is now retired, and continues to encourage students to pursue careers in science and technology fields. 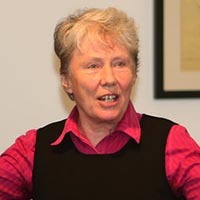 Despite growing up as a self-described outcast, Maria Klawe pursed her passion for technology and became a prominent computer scientist. Klawe is now the first female president of Harvey Mudd College and works hard to ignite passion about STEM fields amongst diverse groups. During her tenure at Harvey Mudd College, her work has helped support the Computer Science faculty's ability to innovate, and has raised the percentage of women majoring in computer science from less than 15 percent to more than 40 percent today. Lydia Villa-Komaroff is considered to be a trailblazer in the field of molecular biology. She faced many adversities she faced throughout her lifetime — at one point, an advisor told her that women did not belong in chemistry, fortuitously inspiring her to switch her major to biology — but she pursued her passion in spite of opposition. In 1978, Villa-Komaroff made waves with a published paper detailing her most notable discovery — that bacteria could be engineered to produce human insulin. She currently serves as the Chief Scientific Officer (CSO) at Cytonome/ST. 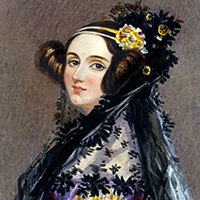 Ada Lovelace is considered to be the founder of scientific computing and the first computer programmer. Her algorithm — which history has come to know as the first one designed for a machine to carry out — was intended to be used for Charles Babbage’s Analytical Engine, which Lovelace would sadly not see built during her lifetime. Lovelace passed away in 1852, but her previously little-known work and "poetical" approach to science has broken through to inspire present-day young women interested in computer programming. 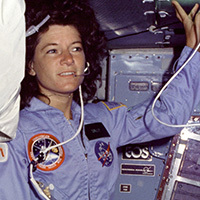 On June 18, 1983, Sally Ride transformed history when she became the first American woman to fly into space. After her second shuttle flight, Ride decided to retire from NASA and pursue her passion for education by inspiring young people. As a result, she founded Sally Ride Science, an organization dedicated to supporting students interested in STEM. Ride passed away in 2012, but her work continues to inspire young women across the country. 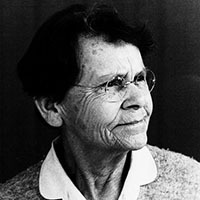 Barbara McClintock was an American geneticist and is still considered to be one of the world’s most prestigious cytogeneticists. 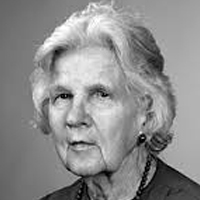 In 1983, McClintock won the Nobel Prize in Physiology for her discovery of the “jumping gene” or the ability of genes to change position on the chromosome. McClintock passed away in 1992, but her publications still influence geneticists across the world. 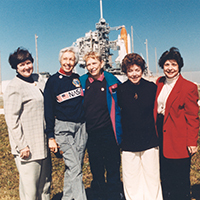 The Mercury 13, also sometimes known as the “Members of the First Lady Astronaut Trainees” (FLATs), were a group of women who participated in training to become astronauts for the country's first human spaceflight program in the early 1960s. FLATs was never an official NASA program, and was unfortunately eventually discontinued, but the commitment and determination of these women to get into space has been credited with paving the way for such astronauts as Mae Jemison, the first African-American woman in space. As part of a secret World War Two project, six young women programmed the first all-electronic programmable computer. 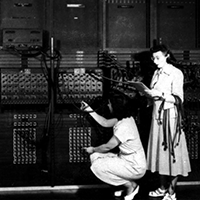 When the project was eventually introduced to the public in 1946, the women were never introduced or credited for their hard work -- both because computer science was not well understood as an emerging field, and because the public's focus was on the machine itself. Since then, the ENIAC Programmers Project has worked hard to preserve and tell the stories of these six women. 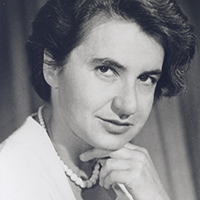 Rosalind Franklin was a British chemist and crystallographer, best known for her research that was essential to elucidating the structure of DNA. During her lifetime, Franklin was not credited for her key role, but years later she is recognized as providing a pivotal piece of the DNA story. 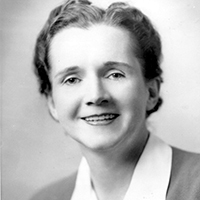 Franklin spent the last five years of her life studying the structure of plant viruses and passed away in 1958.